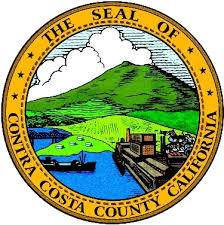 In December 2015, the County of Contra Coasta adopted a Climate Action Plan (CAP). The CAP establishes goals for reducing greenhouse gas (GHG) emissions while improving community health. The overall goals for the CAP are to reduce greenhouse gas emissions 15% below baseline by the year 2020, and 57% below baseline by the year 2035. This goal for 2035 would put County emissions at 50% below the levels in 1990. The CAP meets California Environmental Quality Act requirements for developing a qualified greenhouse gas emission reduction strategy, and is consistent with the Bay Area Air Quality Management District guidance on preparing a qualified greenhouse gas reduction strategy, which provides streamlining benefits to development projects that are consistent with the CAP.